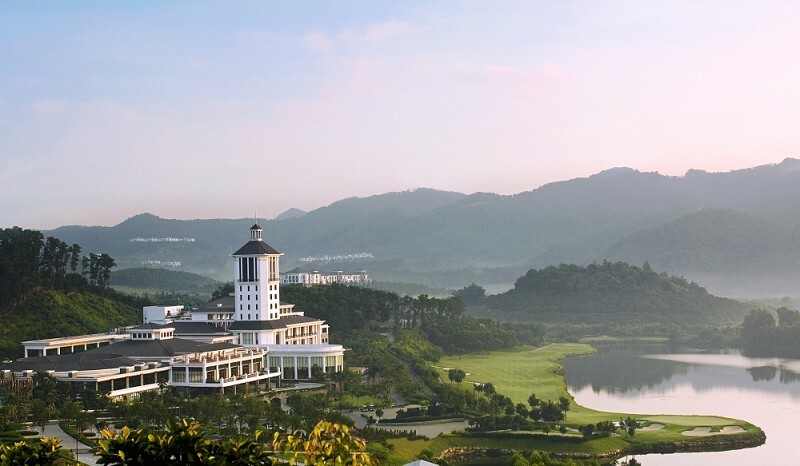 Guanlan Lake Golf Club, spanning verdant hills and green waters of nearly 20 square kilometers, is the largest scale, the most complete private golf holiday resort in China even in Asia. It invited ten famous professionals to design 180 caves, so it becomes the sole club assembling styles of courts in five continents, creating perfect experience and psychological shock. 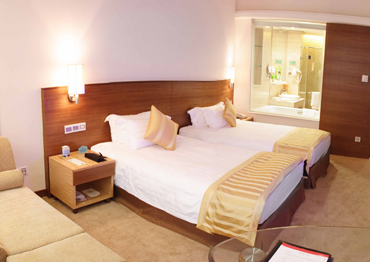 Deluxe Hall, Five-star hotel, Village Club, Golf Villa show the life of leisure. Welcome to Guangdong for Canton Trade Fair, you could go to Liuxi River National Forest Park for a nature journey. 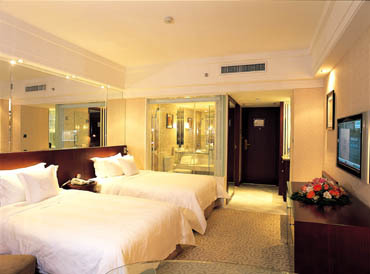 HRC is pleased to offer great service to build a unique China tour for you. 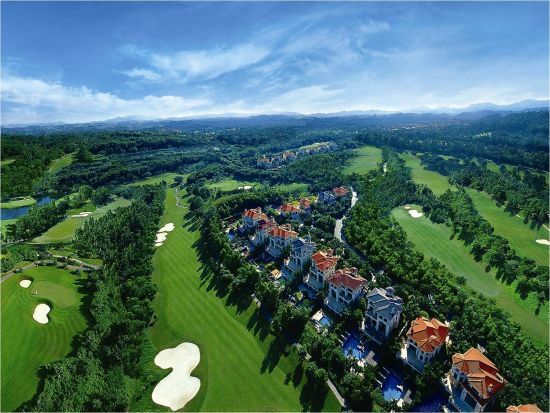 Guanlan Golf Club is the best golf club in Shenzhen, it boasts of first class facility, cheap price, beautiful scenery, etc. The Guanlan Golf Club has also been recognized by the PGA and the two courses here were designed by the Championship golfer, Jack Nicklaus. The club also have a good practice driving range. The entertainment and recreation facilities here include a pleasant dining hall, gymnasium, billiards room, hot spring bathroom, sauna room, and tennis court and badminton room. There is a nice lake where guests can boat, surf or swim and also an outdoor pool! There is a beautiful lake where guests can boat, surf or swim. 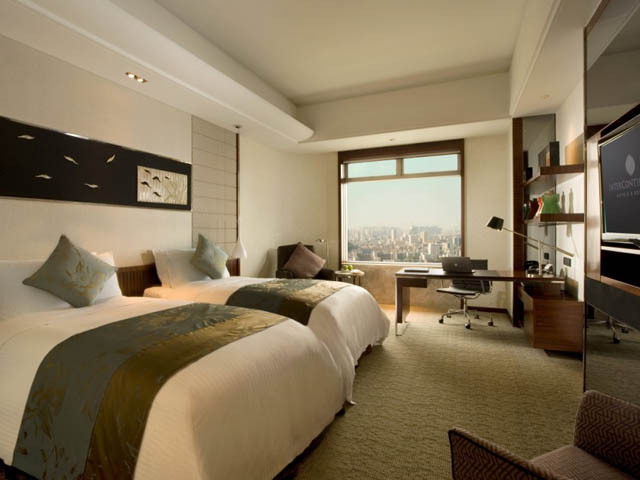 Furthermore, there is a luxurious hotel , named as The Guanlan Lake Golf Club Holiday Inn, total with 225 luxurious guestrooms which allow you to enjoy all these great facilities on your doorstep. The Golf Courses in Shenzhen are pretty popular with Hong Kong residents. The greens and fairways here are greener and better maintained than those in Hong Kong and the prices are reasonable. As a result, you can usually get a nice game here and this course is also popular with visiting business travelers. This entry was posted in Lifestyle, tour, travel and tagged Guangdong, Guanlan Golf Club, lake, lifestyle, Shenzhen, travel on December 6, 2013 by purple. As a leader in sustainable travel in China, HRC Travel Service is dedicated to offering low-impact tours that beneﬁt traveller and host alike. We work with local communities, businesses and individuals to develop sustainable tourism opportunities that help local economies while minimizing negative environmental and cultural impacts. HRC provides tourists the services and itineraries which can help tourist to increase the understanding of China without leaving more footmarks behind; we advocate the theory of “Zero-Carbon” and try to do more things to benefit the locals during the trip. Like sponsoring orphans in Tibet with their study of Tibet traditional art “Thangka” during your trip in Shangri-la and paying a visit to those lovely Pandas in Sichuan; those trips can not only change the visitor’s life, but also can benefit the local lives. That’s why we always commit ourselves to provide “sustainable tourism” to visitors. In our “sustainable tourism”, we combine the trips with local economy, culture and environment protection. This is also the core value of HRC.